Equestrian Directories Directory - Page 5 - O Horse! Free horse shipping quote service. Complete one form and received multiple shipping quotes from reliable transporters. 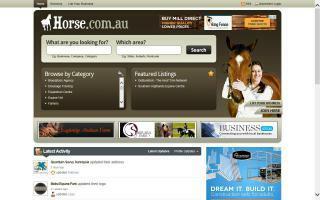 Australian horse directory. Find some of the latest and greatest from the horse scene around Australia, including connecting with like-minded people, the businesses you need, and all the horse gear you could require. 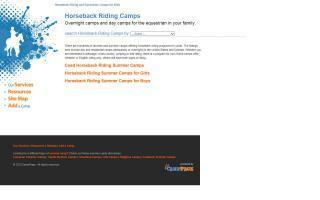 There are hundreds of ranches and summer camps offering horseback riding programs for youth. The summer camps listed here include day camps and residential camps in the United States and Canada. Whether you are interested in dressage, cross-country, jumping, or trail riding, there is a summer camp for you! Some camps offer western or English riding only, while others will have both types of riding. 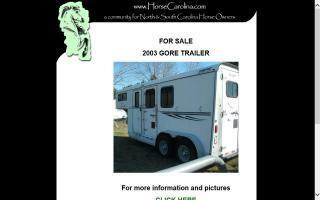 Serving the Horse Community in North and South Carolina with ad listings for horses, products and services. 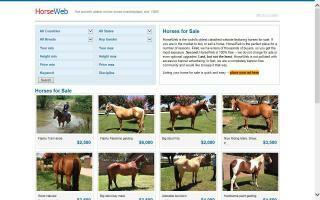 HorseClicks is a horse website featuring horses for sale, stud, trade, and lease. The website also offers comprehensive listings of horse-related equipment such as saddles, tack, trailers, and horse real estate listings of farms and land for sale. A complimentary directory of horse-related websites is also a nice feature that is beneficial to all equine website owners. 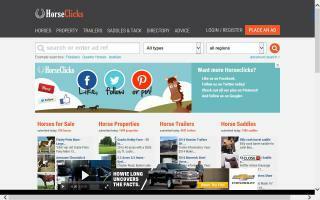 One of the largest websites dedicated to horses and equestrian sports. A web based travel referral directory offering information on trails, horse camping, boarding facilities, tack and feed stores, farriers, veterinarians, rodeos, horse shows and horse transportation. Browse fresh horse classifieds and horses for sale on the web or search over 8,500 equine sites for saddles, tack, and stallions. Free photo ads, new ads online within 15 minutes. Also featuring equine events calendar and horse news. Midwest Horse Forum where anyone can come and chat.